4C-B7X – Director Lars en Ramon, head of the Upwell Consortium's Department of Friendship and Mutual Assistance (DEFMA), is on a high profile tour of Upwell Consortium member installations in the Outer Ring and Syndicate regions, following further calls for assurances that Upwell security is sufficient in the face of threats from Serpentis Corporation and renegade capsuleers operating in the outer regions. The inspection tour by Director en Ramon is the first real look that press and other observers have had at the Upwell security chief. DEFMA's director has a relatively brief public résumé, consisting of a period as a "Project Lead" with the Crux Special Tasks Group, preceded by service as an officer in the Federal Navy after a tour with the Federal Marines. The appointment of Lars en Ramon as the head of Upwell's security apparatus caused some comment in Federation political circles given the history of antagonism between ORE and the Federation, even before the period of Serpentis control that came to an end with Upwell's seizure operations in Outer Ring. One source close to the Defence and Intelligence Committee of the Federal Senate has suggested to the Scope that en Ramon was a renegade officer who was quietly dismissed from service before his entry into the private sector. The Scope has not been able to substantiate this claim and his Federal service record remains confidential. 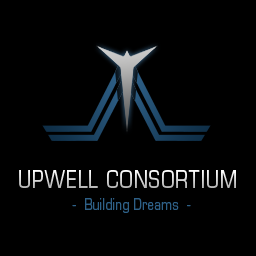 Concerns as to Upwell's security arrangements have come to the fore once more in light of what appears to be a major buildup and mobilization of capital ship forces by outer region outlaw groups such as the Angel Cartel and Serpentis Corporation, as reported in the Scope's last special report.